Award winning disc jockey entertainment in Slippery Rock Pennsylvania. 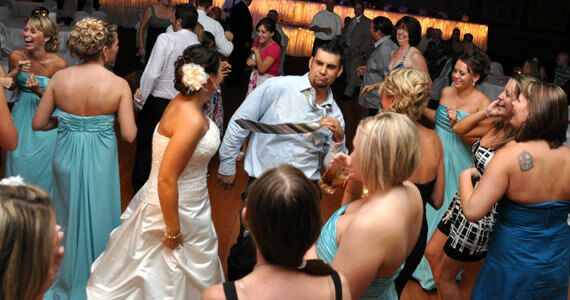 Pifemaster Productions has been providing DJ services in Slippery Rock for over 20 years. Although we specialize in wedding ceremonies and wedding receptions, we also perform at Bar Mitzvahs, Bat Mitzvahs and more. Chances are that if you are from Slippery Rock, you may already know someone that has used our entertainment services. Be sure to check out our many reviews from former wedding clients in Slippery Rock Pennsylvania. Slippery Rock PA residents have trusted DJ Pifemaster to provide not only the best disc jockey entertainment, but they have also relied on our expertise and attention to detail with our beautiful up-lighting rentals. Nearly all wedding venues in Slippery Rock would be enhanced with the addition of our wireless up-lighting fixtures. Regardless what type of celebration you are planning in Slippery Rock, you can be assured you will receive the ultimate in service, dedication, and attention to detail. Contact Pifemaster Productions today, to find out how we can help create a truly memorable event.